888 Casino is one of the oldest and most reliable online casinos in the industry, with 20 years of history and certifications from numerous organizations. The casino draws attention with the big amount of no deposit bonus in particular (up to 888 EUROS). Besides, it offers additional features like match bonus, sign up bonus and promotions that are organized on a daily basis. 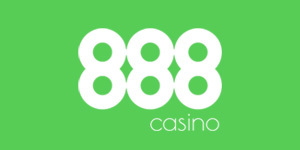 888 Casino will send you an e-mail. Click on the link in this mail. You will be directed to a special page, which you can see a big wheel-of-fortune. There are various cash prizes on this wheel. The amount of these prizes starts at 15 euro and goes up to 888 euro. Spin the wheel. The amount you won will be transferred to your account, free of charge. You cannot transfer this money to your bank account, but you can use it in all the games in 888 Casino. If you make a profit during this time, it will be yours to keep. Also check William Hill Casino Bonuses. Welcome Bonus: This is the 888 sign up bonus, known also as the “match bonus”. Whenever you make your first deposit, the casino will match it %100, up to 140 EURO. The only thing you need to do is transferring an amount of money to your account and use the “Welcome1” code during the transaction – the bonus will be applied instantly. For example, if you credit your account with 100 EURO, 888 Casino will also transfer another 100 EURO to your account and match it. Basically, you will double the amount of your first deposit. Monthly 888 No Deposit Bonus: On the first day of every month, every member has a chance to win 888 EURO just for logging in to the site. You do not need to do anything to take advantage of this offer, the winner I randomly selected and informed via the account page. Beat the Dealer Hot Bonus: On the 21st day of each month, if you play a Multihand Blackjack game and beat the dealer, you earn 300 € more in addition to your winnings. This bonus applies only one time for each player. Roulette 8 Bonus 888 Casino: It is active daily. Every time the winning number is “8” on a roulette table in the Live Casino, each player on that table gets an 8 EURO bonus. Live Casino Bonuses: There are plenty of them. If you use special codes while adding money to your account and play at the Live Casino section, you are entitled to a couple of awards. For example: Frenzy Bonus: Use FRENZY code, wager x3 and get an extra %25 match on any game. VIP Style Bonus: Find the bonus play cards on VIP blackjack tables and earn up to 1.200 € daily, between 13:00 and 01:00. 888xtra Bonus: Play blackjack at the 888xtra table between 13:00 and 01:00 and win up to 750 € daily, if you manage to find marked play cards. Comp Points: This is the loyalty/VIP program of the gambling operator. By playing games and depositing money you earn points. These points can be redeemed for real money. To give you an idea, 135 points are equal to 1 €. “Varies by account” means that 888 Casino will set personal maximum cash in limits for every member individually; depending on the duration of their membership, the games they play, and the amount deposited in their account.